All of Chophouse Grill's steaks, including Sirloin and eye fillet, come garnished with thick cut chips & seasonal vegetables. Chophouse's signature meal is the 18 hour slow cooked rib eye will surely please the taste buds and melt in your mouth. The main menu also features The Rattle Steak (the steak with bite) and Chophouse Board – 200g blackened rib eye, glazed beef ribs, slow cooked beef brisket, woodfired chicken, onion rings & thick cut chips.  Chophouse Grill is a family friendly restaurant where kids get their very own meal deal! Kids can select from a variety of dishes such as Battered Flathead & Rustic chips, 1/3 Rack Pork Ribs or a Cheeseburger – all of which come with a bowl of ice cream and choice of topping. If you have any room left, the dessert menu is changed daily to satisfy those with a sweet tooth. We baste a whole rib eye roll with special herbs and blackened smoke marinades prior to 18 hours of slow roasting. Your steak will be hand cut from the whole roasted rib eye and grilled to order. Because of the slow roasting process this steak comes medium-well and also due to its popularity this steak may not be available when you order. All kid's meals come with shoestring fries, kid's fun pack & ice cream with choice of topping. This menu is for 12yrs & under only.